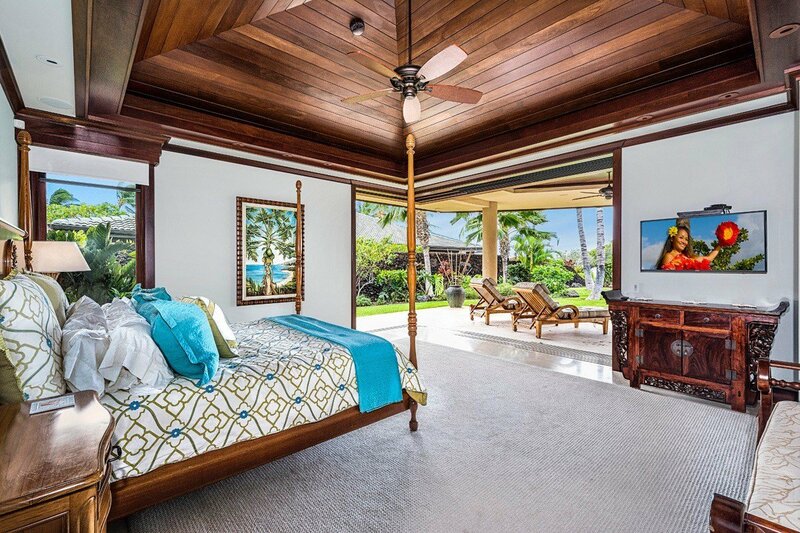 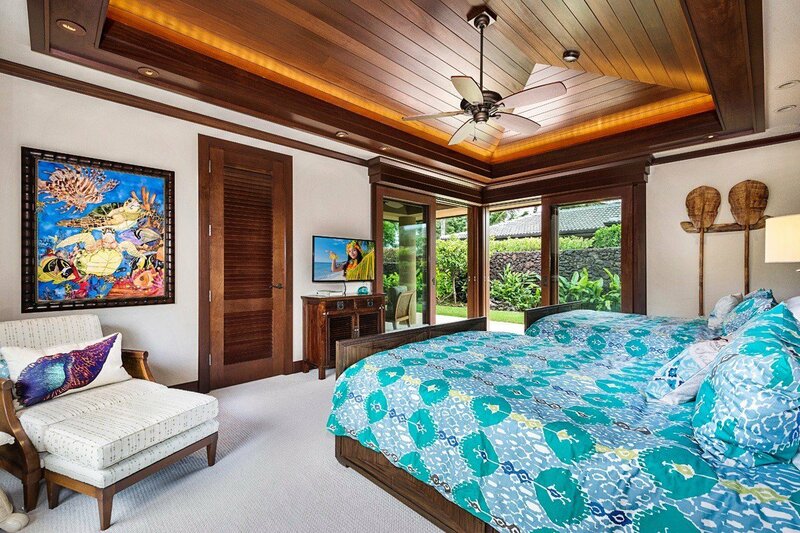 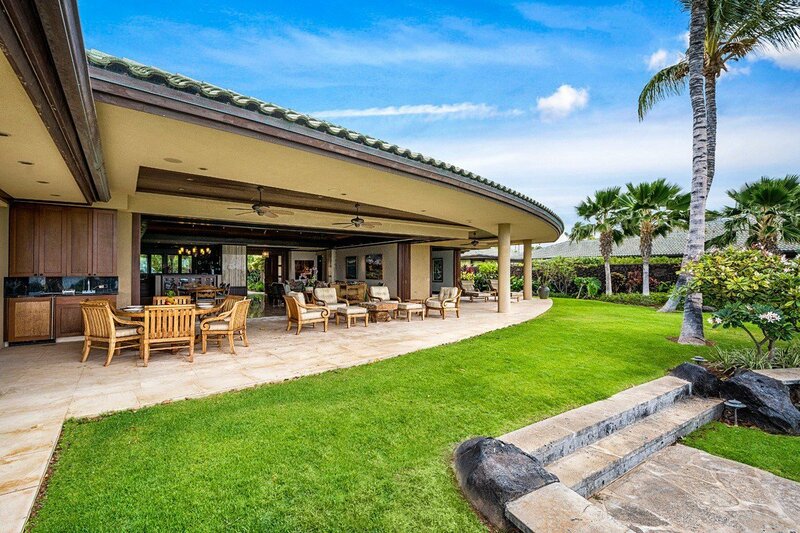 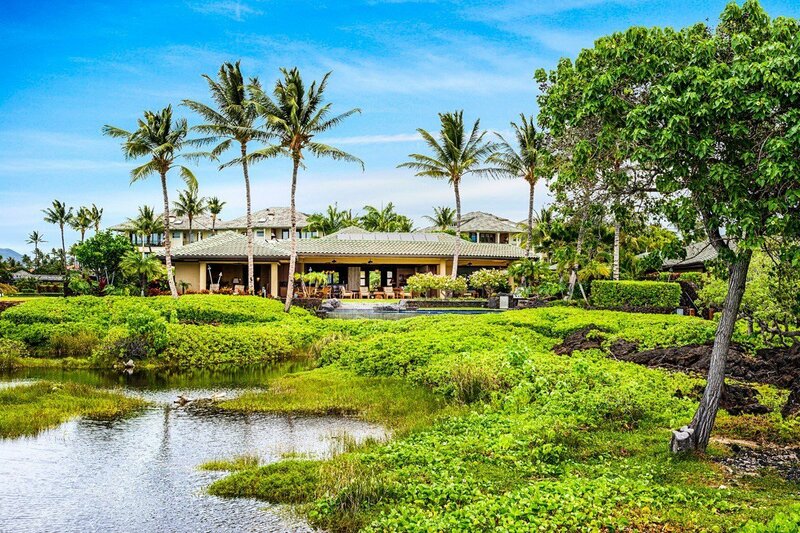 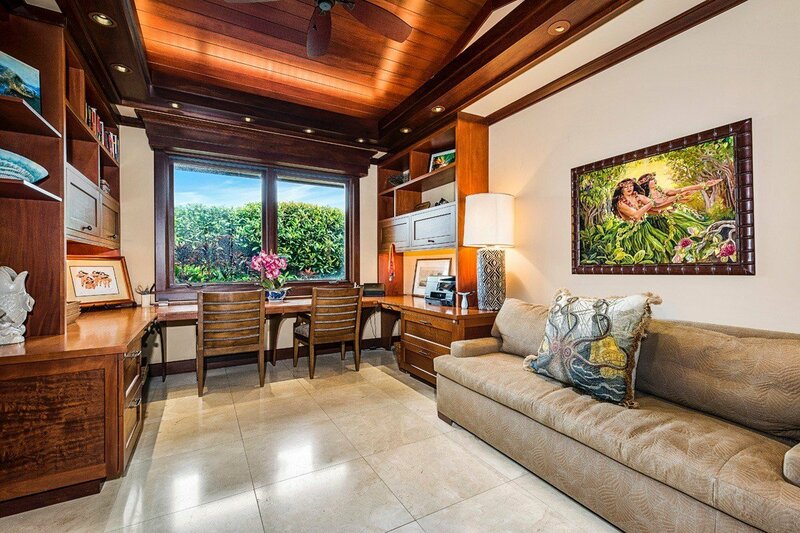 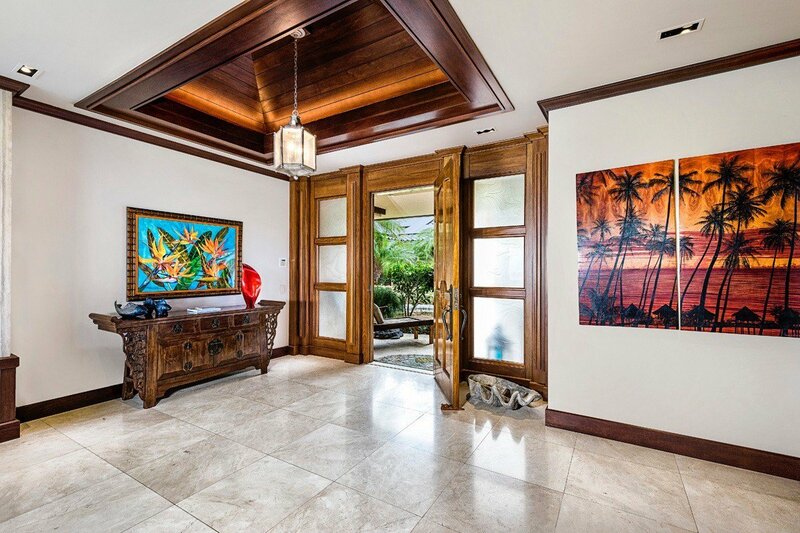 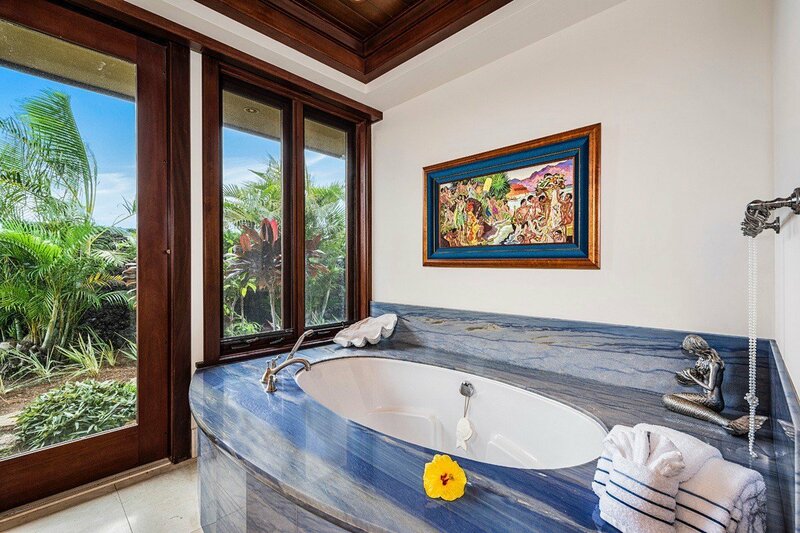 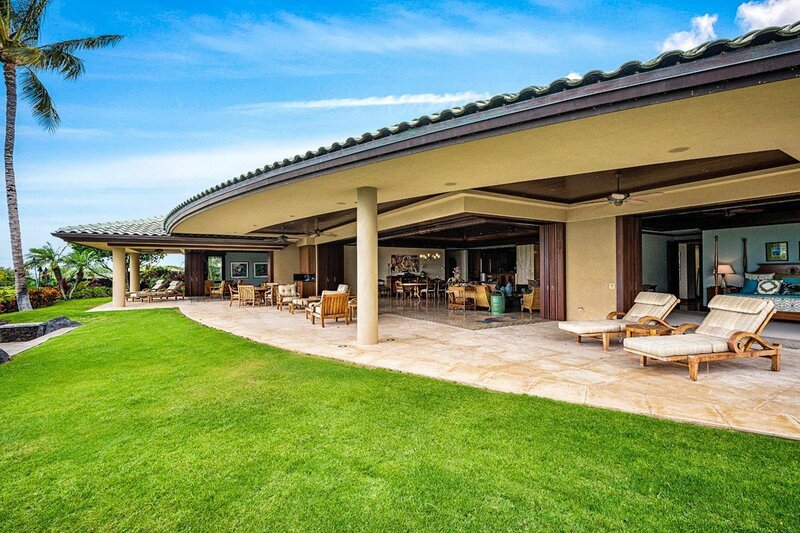 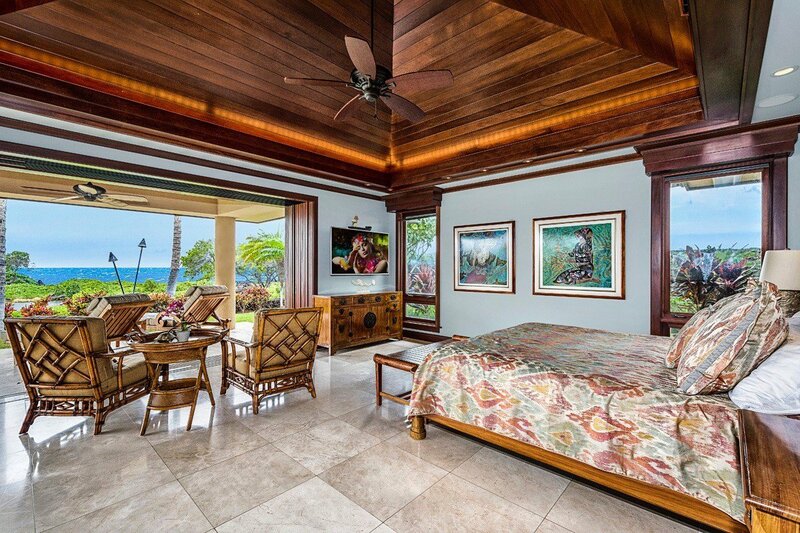 Welcome to one of the most luxurious and private oceanfront homes on the Kohala Coast. 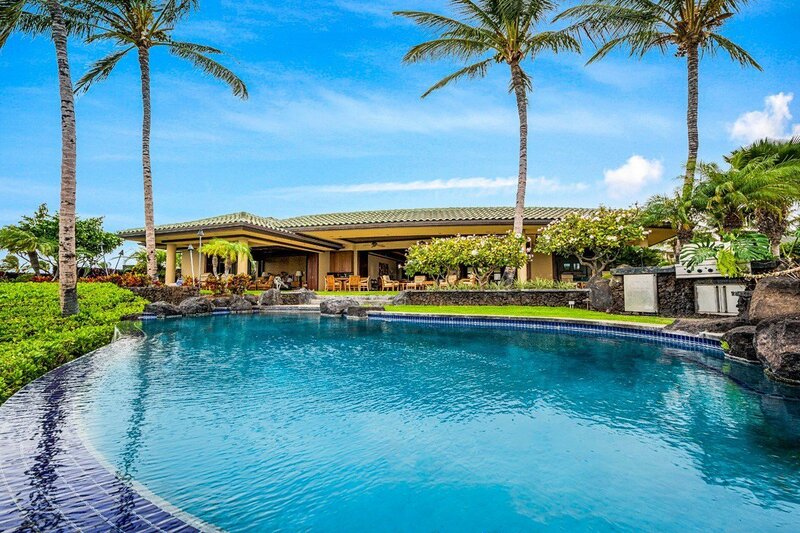 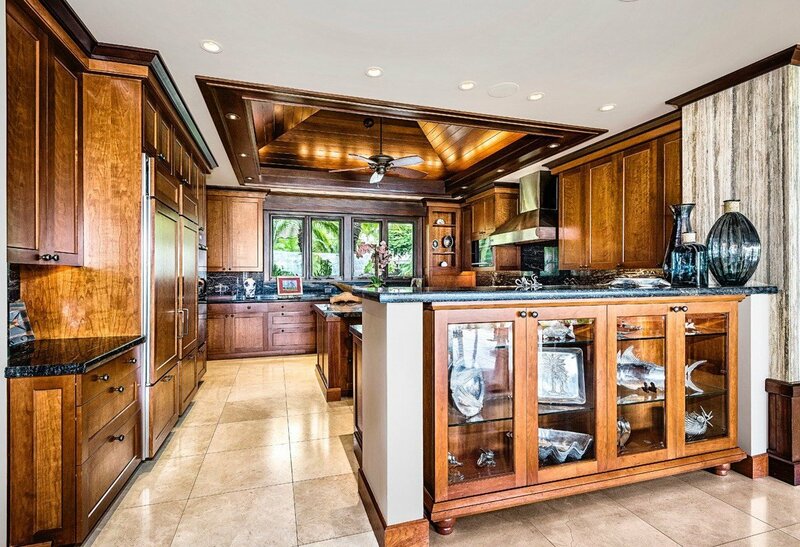 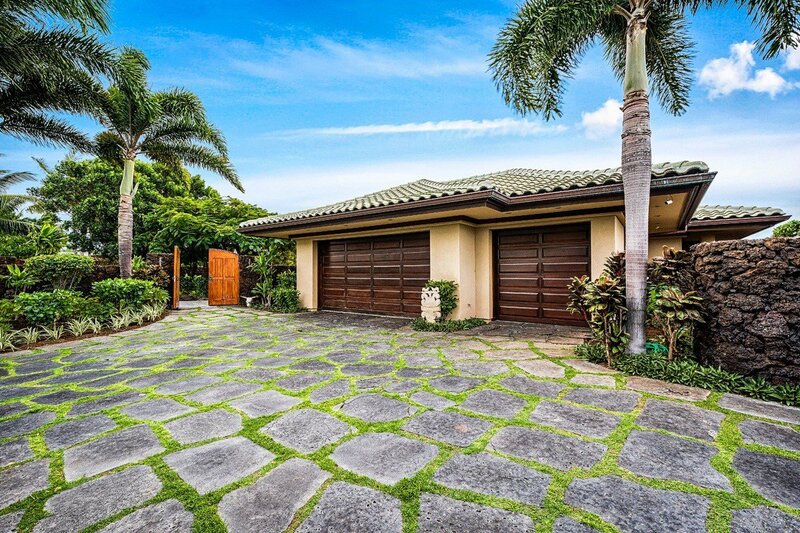 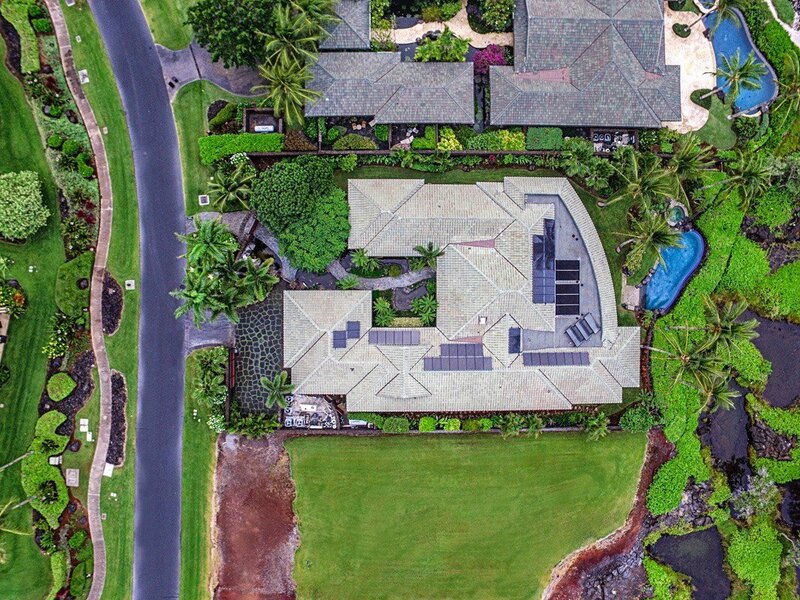 Located within the gated community of Kolea in the Waikoloa Beach Resort, this estate residence is located near the mouth of beautiful Anaeho'omalu Bay. 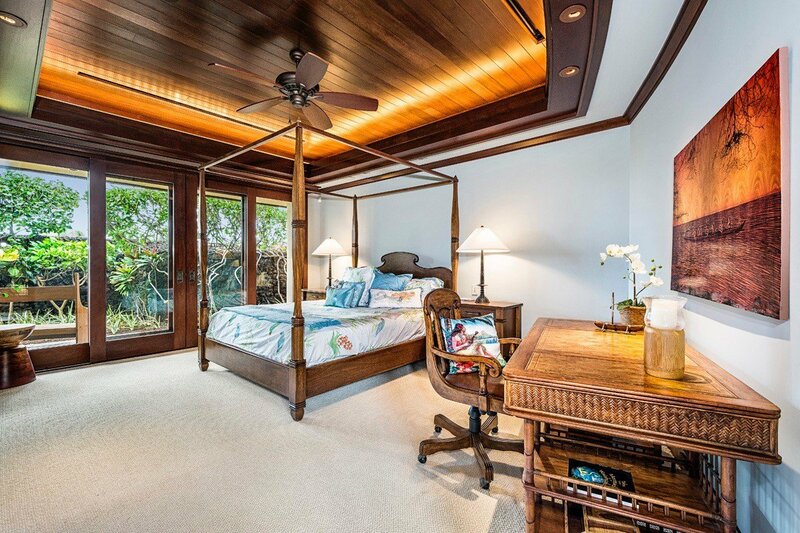 The property has direct ocean access, yet is located far enough from the walking path along the ocean to provide a sense of privacy along with spectacular sunsets. 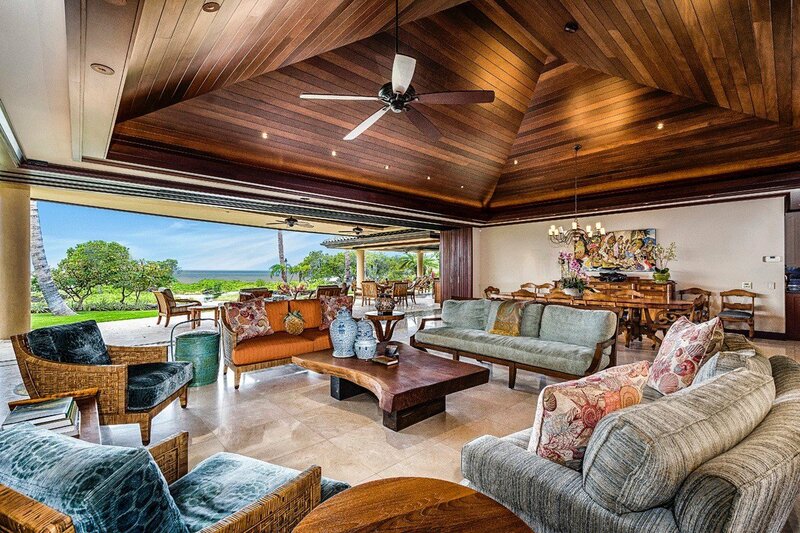 Sit on the expansive lanai and watch the whales breach all winter and the surfers ride the waves, all the while taking in views of the coastline, as well as the Hualalai Volcano. 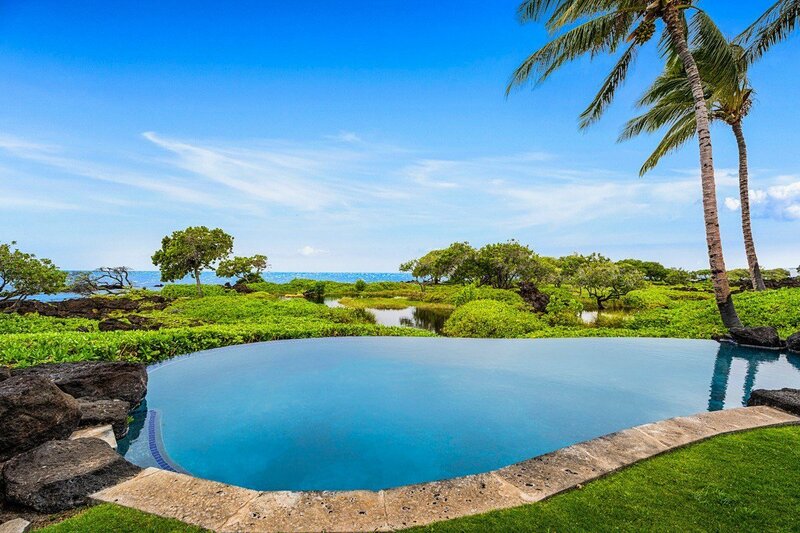 The property is beautifully landscaped, with a solar heated infinity pool and spa. 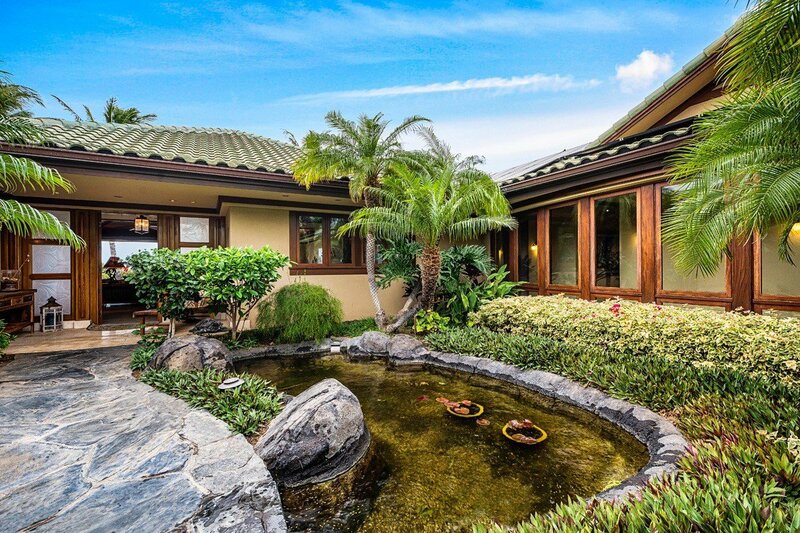 The impressive entrance features exotic tropical plants and a koi pond. 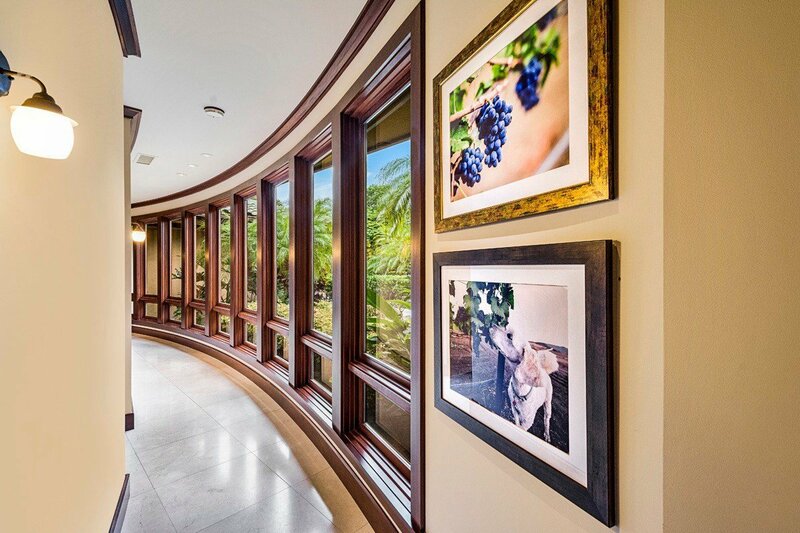 The attention to detail in the design and construction of this residence is simply incredible. 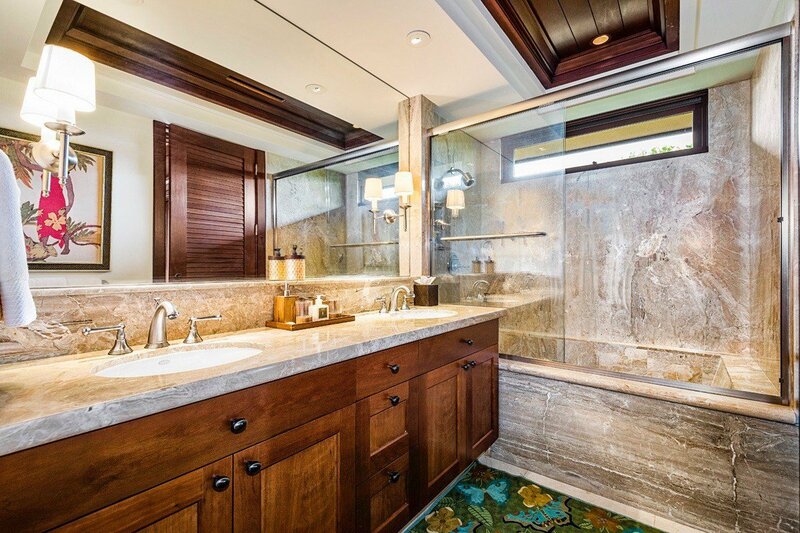 Every square inch of the 5733 SF exudes sophistication and luxury. 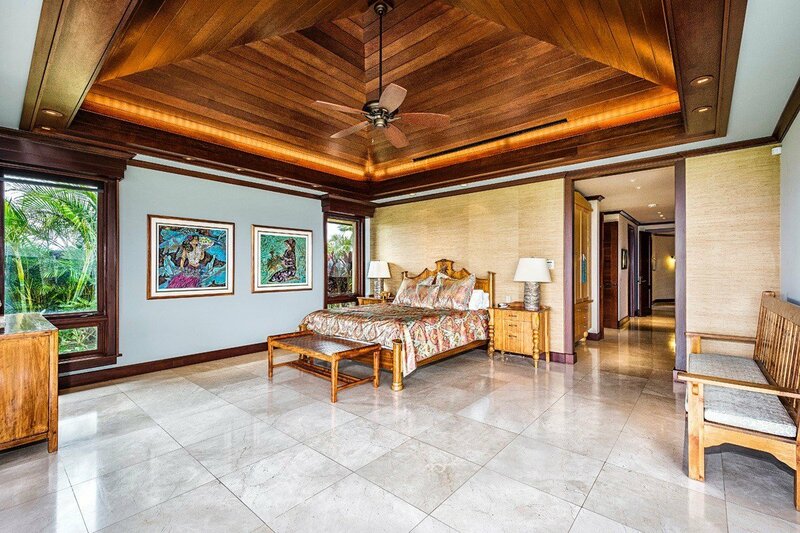 The home has four bedroom suites, each with its own covered lanai, five and one half bathrooms, and a very large and inviting Great Room. 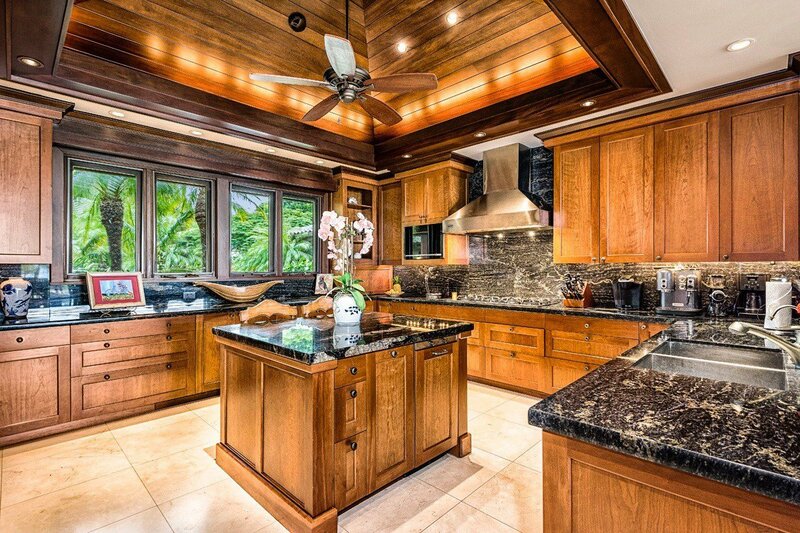 The kitchen is a gourmet chef's dream, with all the bells and whistles. 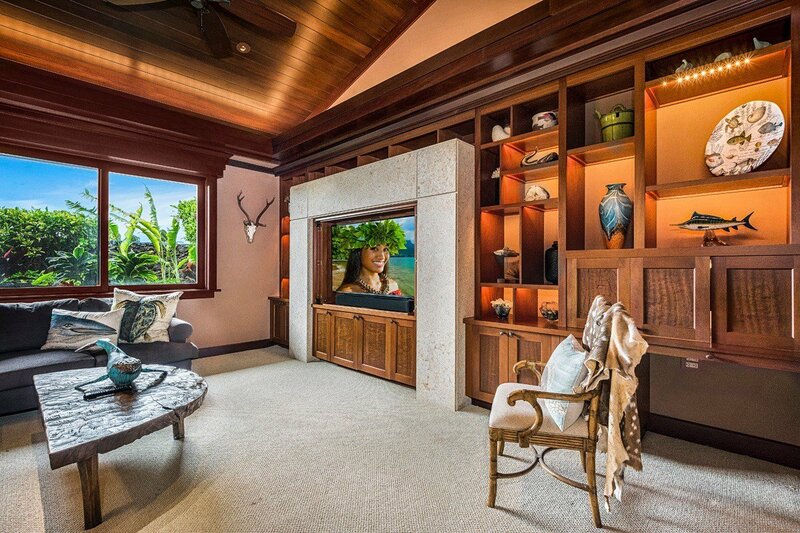 Also included is a two person office, and a state-of-the-art media room. 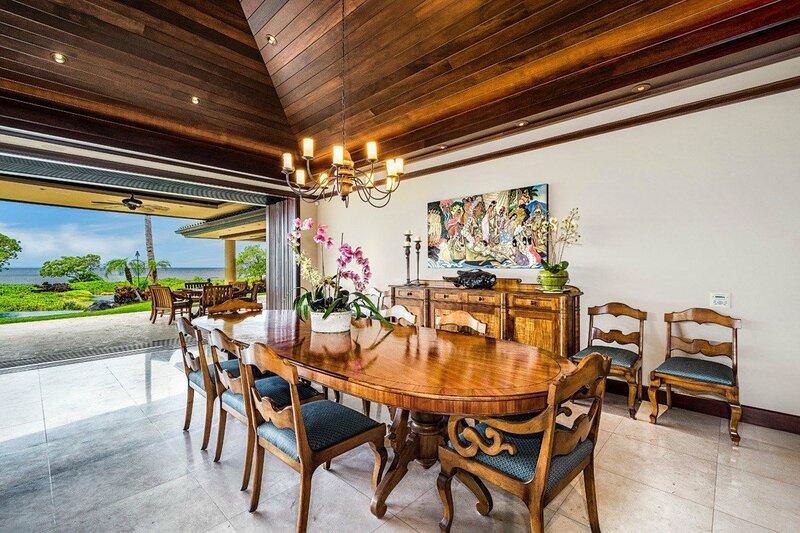 The dining room, which is incorporated into the Great Room, seats eight very comfortably. 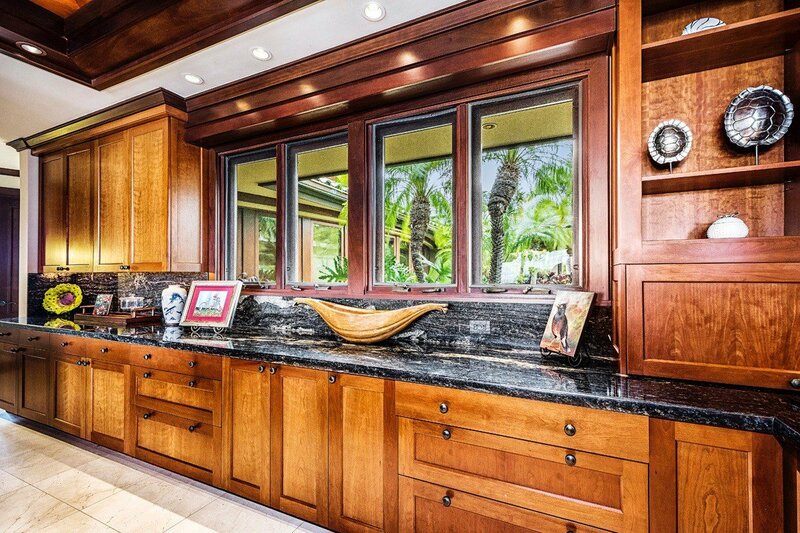 The expansive lanai doors in the great room are motorized, and all of the pocket doors utilize glass, screens, and beautiful hardwood shutters. 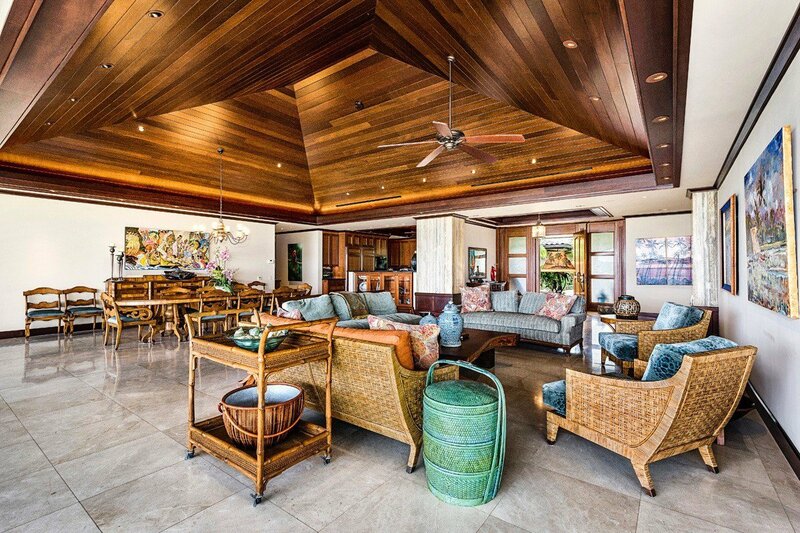 The residence has cutting edge entertainment, lighting, and security systems, all of which are user-friendly. 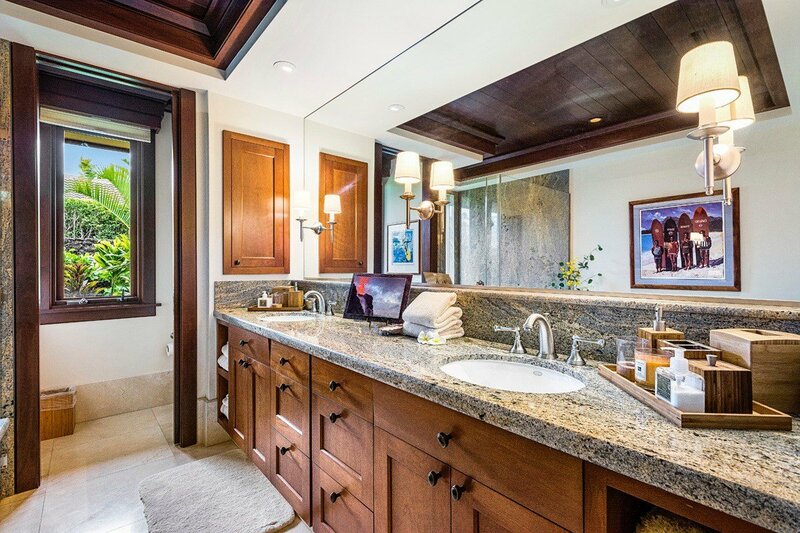 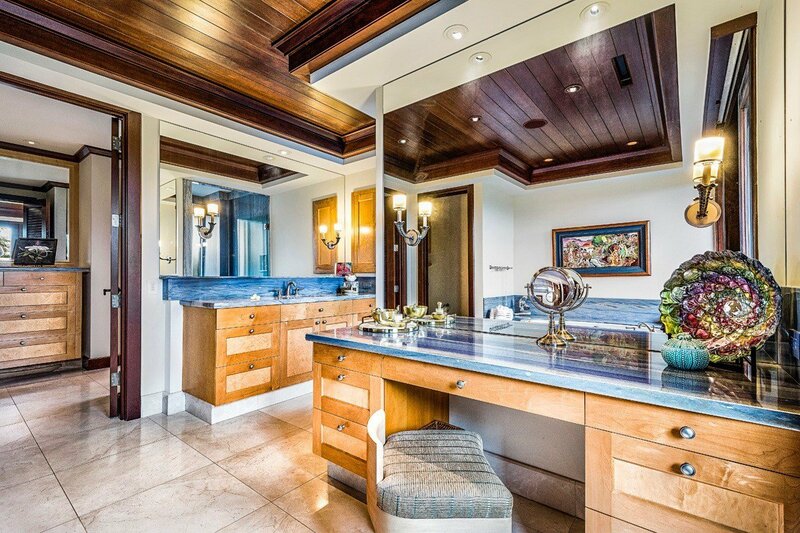 Throughout the home, there is extensive use of exotic hardwoods, as well as Italian, Spanish, and Brazilian marble. 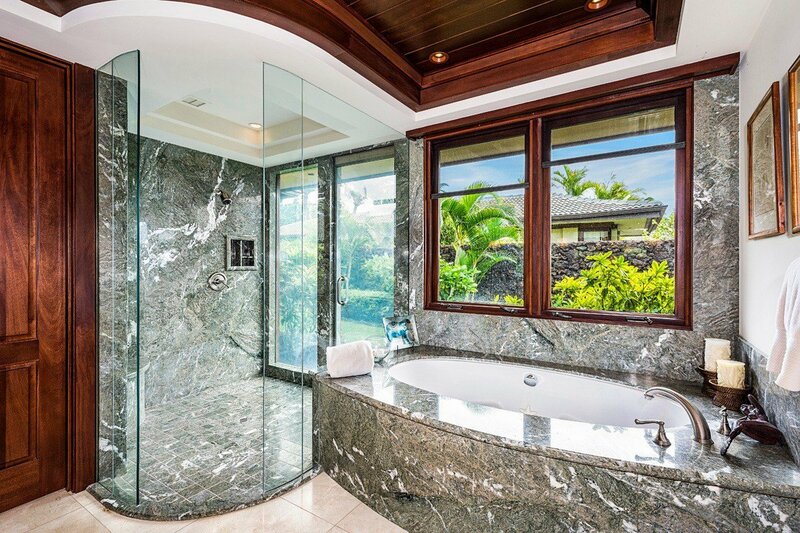 Just a couple of the unique features of the home are switch glass shower panels in the bathrooms, which instantly turn a clear window opaque, and the fact that the electrical outlet covers located in the kitchen counter backsplash were hand painted by an artist to render them indistinguishable to the adjacent granite. 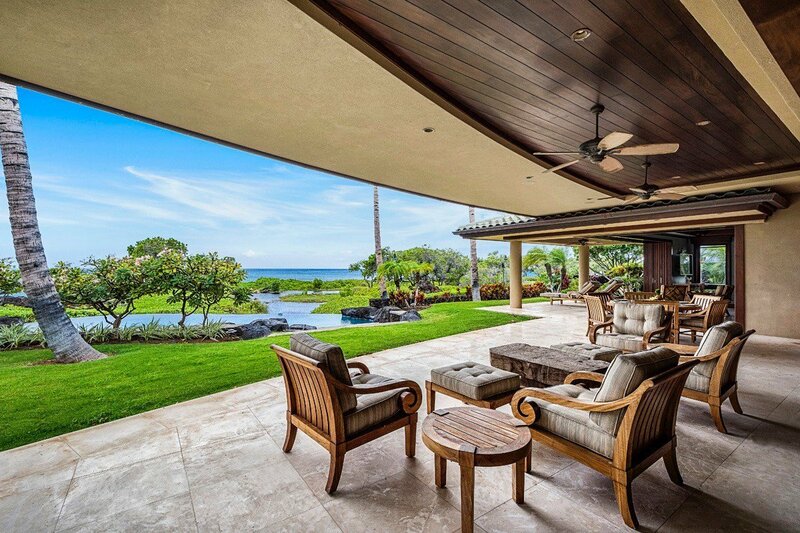 Come live your dreams! 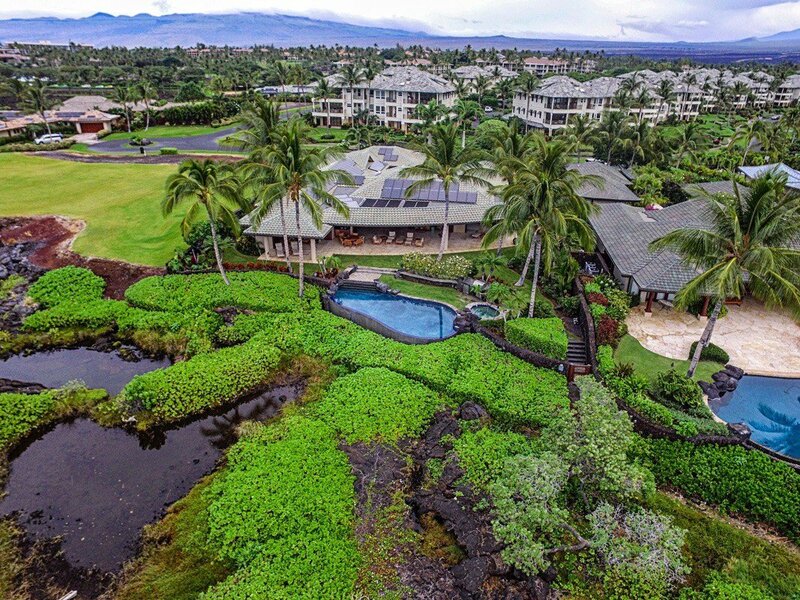 Listing courtesy of Hawaii Luxury Listings LLC.